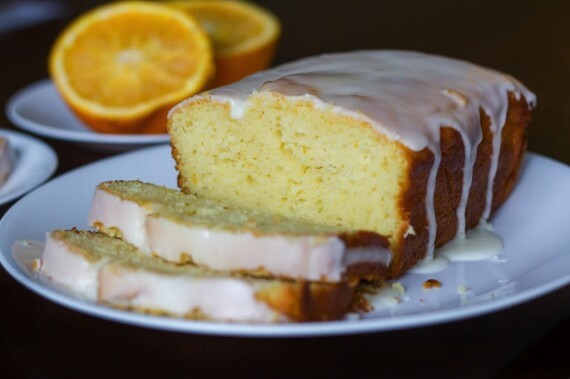 I was looking for a low-fat pound cake recipe when I found this yogurt cake recipe. 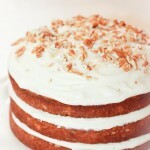 I love yogurt cakes because they are so moist and have a very tender crumb – even using fat-free yogurt. It has a very “buttery” flavor even though it doesn’t have any butter…not sure how that is possible but trust me, you won’t be able to tell =). It doesn’t exactly taste like pound cake but it was close enough to curb my craving and I actually think I like it even better than pound cake. Pound cakes can be so finicky – getting the ingredients to just the right temperature, beating for just the right amount of time, etc and I loved the dump and stir method of this cake. Easy peasy! 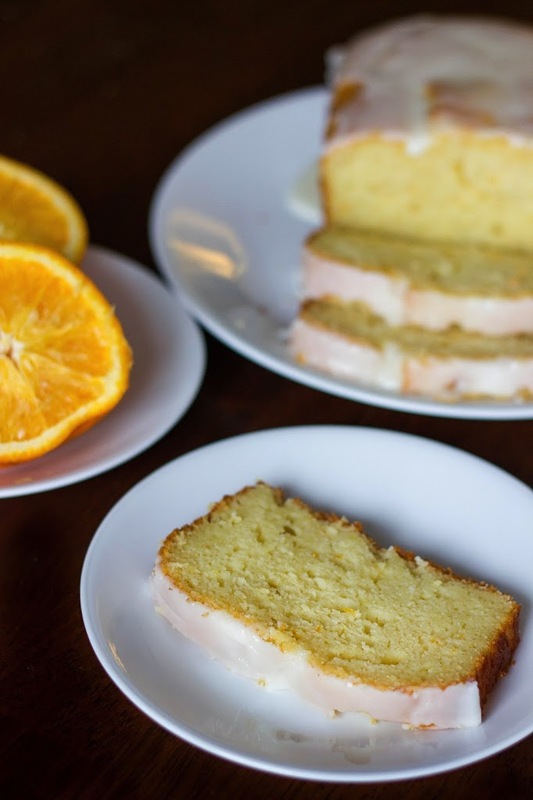 =) Orange was delicious but any citrus would work – lemon, grapefruit, lime…just use whatever you have on hand. Enjoy! 2. Line loaf pan with aluminum foil (or parchment paper) and spray with non-stick spray. 3. Whisk flour, baking powder, and salt in medium bowl. 4. Combine yogurt, sugar, eggs, zest, oil, and vanilla in large bowl; whisk until well blended. Gradually whisk in dry ingredients, stirring just until combined. Transfer batter to prepared pan. 5. Bake until cake begins to pull away from sides of pan and tester inserted into center comes out clean, about 50 minutes. Cool cake in pan on rack 15 minutes. Remove from pan and cool almost completely. 6. Whisk together powdered sugar and orange juice in small bowl. Drizzle over cake. Cut into slices. Nutritional Info (per 1/16th): 187 calories; 7.8 g fat; 26.2 g carbohydrates; 3.3 g protein. KENDRA. Shut UP with this AMAZING cake. It&#39;s perrrrrfect for spring!